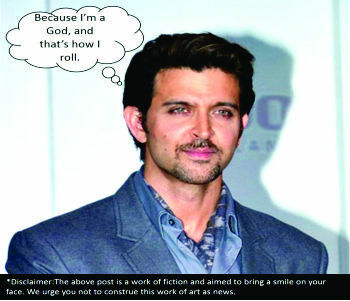 Super-Sculpted Greek God and superstar Hrithik Roshan spent his Sunday evening in the gym. Wearing a loose grey tee and denims (surprising choice for a workout), Hrithik was lunging and squatting away to glory for the better part of two hours. Hrithik is known to follow Kris Gethin; international instructor who helped him transform his body a few years ago. However, Sunday evening wasn’t Kris Gethin but some other trainer, who seemed to be helping Hrithik till with his workout. 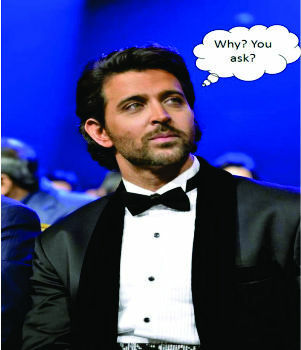 Hrithik paid keen attention to every word, discussing each move, before moving like a dream machine to his instructors’ guidance. 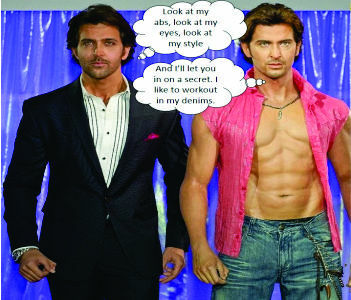 Heres what we think goes on in Hrithik’s mind when he gyms.